Snead Custom Homes was founded in 2014 by Chris Heisey and was based in Arlington VA. Snead Custom Homes (SCH) quickly developed into one of the most respected high-end residential, new home builders in the DC Metro Area. Our main focus remains Customer Service. We have built our reputation on outstanding customer satisfaction, consistently developing new relationships through referrals from past clients. Every Custom Home built since 2014 was due to a Customer Referral. When you choose to build your home with our Team, you will notice our attention to detail and commitment to quality. We have developed a streamlined approach to building your home; we are committed to eliminating waste, increasing efficiency and reducing overall days under construction with an eye on budget but without compromising our Quality Standards. We are constantly out networking with Architects and Design Professionals. We have formed strategic partnerships with Award Winning Architects, Designers and Suppliers in the DC Metro Area. As a result, we are happy to refer an Architect or Designer based on your desired home style and preferences. In addition to our design/build services, we also work with clients who have already engaged an Architect or Designer. We believe in the “Design-Assist” Method, where we collaborate directly with the Owner and Architect during the design phase to reduce construction time and overall costs. This Team-First approach is a proactive way to improve construct-ability and value. Engaging with Snead Custom Homes early in the process is the most proactive way to work toward your best value, saving you money and time. The “Precon” Meeting is the official handoff to our Construction Team. At this meeting we will review every detail of your new home and confirm all interior/exterior selections. The Review gives our Construction team the opportunity to walk you through the entire home and discuss all A/V, Mechanical, Electrical and Plumbing Systems. We also fully document to the location of all of your systems “behind the drywall”. We also take this time to discuss projected delivery timeframe. Our pre-settlement or “home” demonstration is an opportunity for our Construction Team to show the customer how everything in their home works. From turning on the gas range to changing media-filters, we show you how everything in your home functions. We review all warranty information and answer any questions or concerns. Our service team will schedule a day to come back through your home to ensure everything is still running smoothly! We also take this chance to check caulking, filters, doors and windows and other routine homeowner maintenance. During the first year in the home you will notice some minor nail pops and tape seams. Our team will actually come back through your entire home and take care of all of those items. We also use this time to review the entire 1-2-10 year warranty program. *See the written limited warranty for full explanation of coverage. Zurich North America and is rated A+/XV by A.M. Best, one of the leading independent insurance company rating services. I began my career in Development and Construction in 2003. Over the past sixteen years, I have built, sold and developed over 1,000 single family homes, townhomes, condos and apartment units. After working in DC for 6 years, focusing on condos and apartments, I realized how much I missed building new homes. I always enjoyed the direct customer involvement during the construction process and I missed the excitement that everyone felt while I was building their dream home. 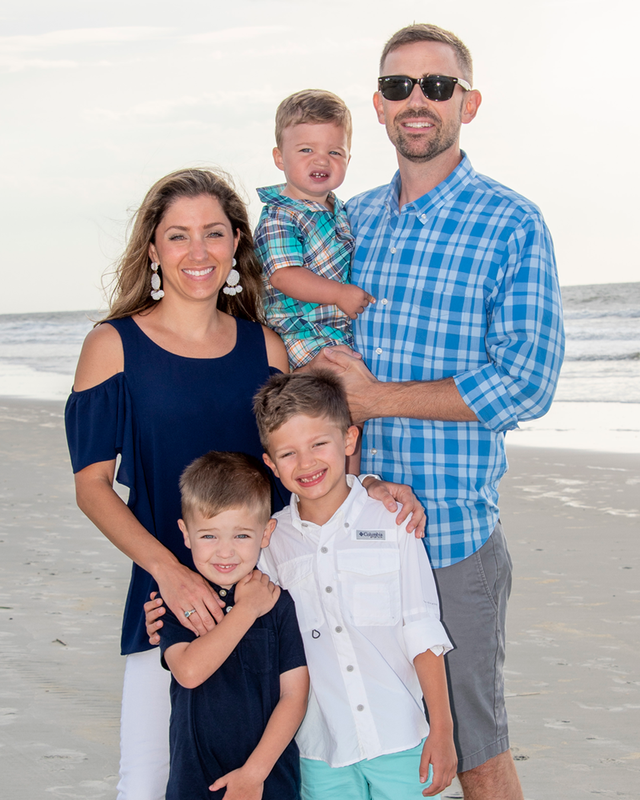 In 2014 I founded Snead Custom Homes in Arlington VA where I currently live with my wife, Lauren (a residential agent), and our 3 sons: Tucker, Clark, and Fitz. When I’m not building your home I can be found coaching my son’s flag football team, cheering on the Michigan Wolverines, or skiing in British Colombia.